You know the sunny days are on their way when the fruit beers start hitting the LCBO shelves hard. I find with fruit beers they hit you on the nose but aren’t as exciting on the pallet. 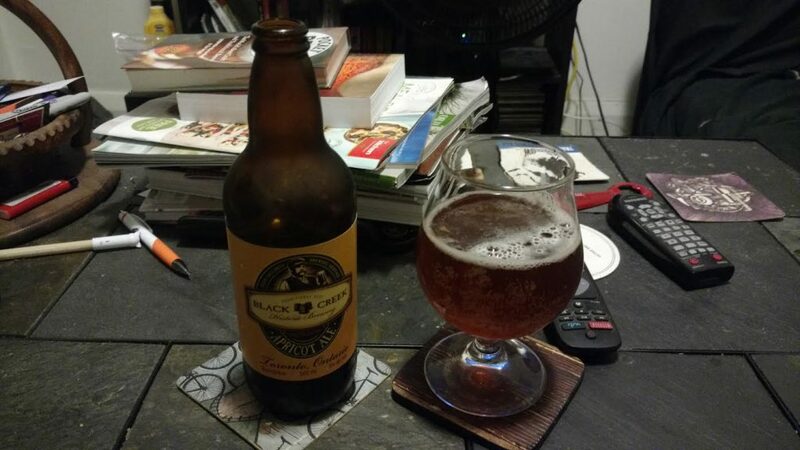 Let’s see if Black Creek’s entrance this season, the Apricot Ale, will suffer the same fate. Made out of the Trafalgar brewery, sometimes Black Creek can be hit or miss. I must admit, I do enjoy the Rifleman’s Ration when it comes around. You can purchase a bottle at the LCBO for only $3.95 and it sits at just 5% ABV. Appearance: Light brown, very little head, off-white. Filtered. Aroma: Apricots, banana and strawberries. Extremely aromatic. Taste: Like strawberries without the sugar. Some bitterness comes in from the hops. Almost no sweetness from the apricot. Aftertaste: Super short and dry. Overall: Smell is nothing like the taste but I do enjoy it. Try with chicken or fish.